Carbo load (and burn it off) on these Washington bike rides with a sweet spot. My idea of a perfect weekend is to hop on a bike and go for a ride. The cool morning wind is an excellent tonic. The exercise gets you going for the rest of the day. But what really makes for an outstanding outing is a bakery at the end of the ride. We’re not talking Safeway doughnuts, here. We’re talking about a place where, if you’re up early enough, the bakers are rolling out dough back in the kitchen and the ovens are radiating the smell of yeast. It was on Lopez Island, the first ferry stop in the San Juans, that I first discovered the excellence of this particular plan. My soon-to-be husband and I camped there, at Odlin County Park, and rode our bikes the 4 miles into town, which on Lopez is known as The Village. When we had kids, we bought a small cabin at the south end with another family. From either direction, the goal was the same: Holly B’s. Presided over for nearly four decades by the warm spirit of Holly Bower, the bakery offered fat cinnamon rolls, beautifully braided almond butterhorns, assorted croissants, cookies, pizza and baguettes whose browned crusts gleamed nicely against the warm wood of the display shelves. Holly’s motto is “With love and butter,” a salutation as much as an ingredients list. The butter isn’t only in the dough, there’s a vat of it on the counter, complete with a wooden paddle, because that cinnamon roll, which already weighs about a quarter pound, really needs more butter on top. Stephanie has kept the farmhouse favorites, while also trending French. She’s added maca­rons, meringues (mocha recently) and Nutella brioche, and promises additional innovations. 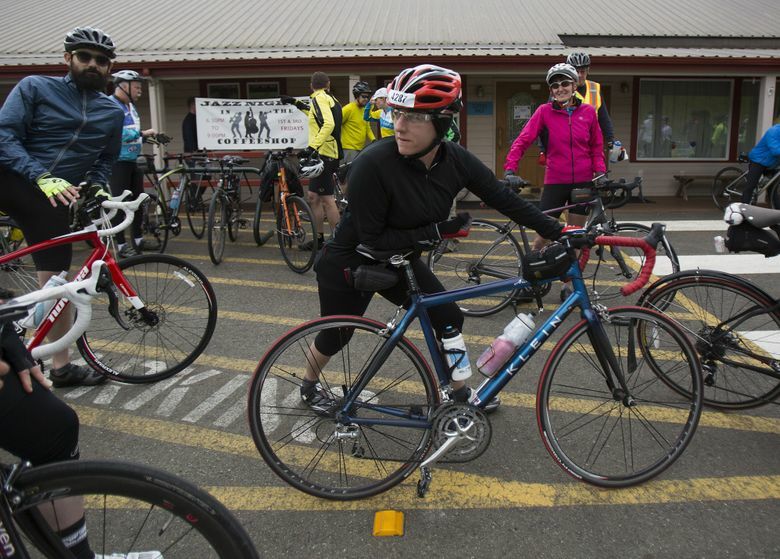 Lopez is the flattest of the San Juan Islands and rewards cyclists with views of spring lambs, late summer hay bales and year-round vistas of mountains and water. From tip to toe, the island is just 12 miles long, so you can choose your destination and degree of difficulty. It’s a relatively flat ride to the village from the ferry landing (except for that first half-mile uphill). The north end of the island also has quintessential views of ferryboats out on the channel and of farmlands, some still plowed by massive Belgian horses. The only stretch you want to avoid is Center Road, up the middle of the island, with speeds of 45 mph and no shoulders. 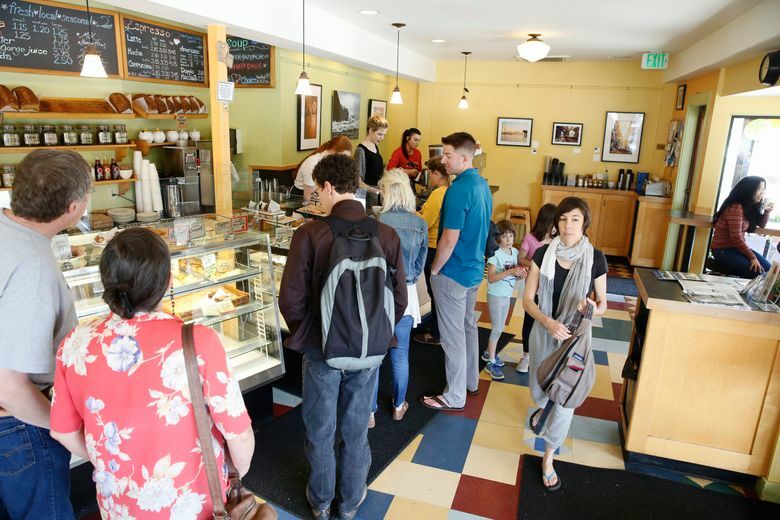 Blackbird Bakery in downtown Winslow is barely three blocks (and only slightly uphill) from the Bainbridge Island ferry dock. You could walk your bike and be there in about eight minutes. But that would be cheating. That would totally undermine the burn-and-earn philosophy of a destination bakery. 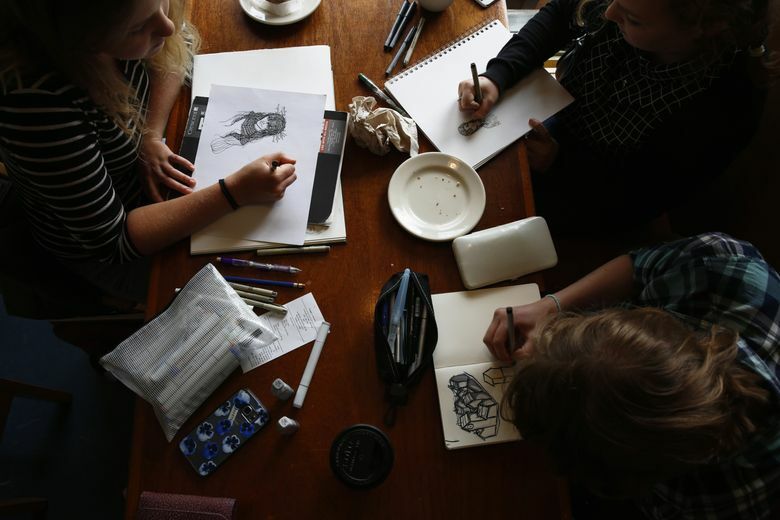 On weekend mornings, the bakery fills with dads and their young children sprawled across retro wooden booths, women just off the water from the local crew team (talk about earning your carbs!) and tourists exploring Winslow’s charming downtown. Professional duty required me to try not one pastry, or even two, but a couple of bites of at least five. Strictly in the interests of research. the Cherry Luna, coiled like a Danish with tart fruit and a boozy glaze, was one of my favorites. Another was the Morning Glory muffin studded with pineapple, carrots, pumpkin seeds and coconut. Lest that sound too healthful, big sugar crystals glittered on the dome. It was surprisingly light, moist and, as a bonus to the bakery-challenged among us, gluten-free. On a sunny summer Sunday, we grabbed our pastries and headed out to Fay Bainbridge Park on the east side of the island. The long sand beach looks back to the Seattle skyline. It’s a great spot for skipping through shallows or settling in with the Sunday Seattle Times. At 8 miles one way, it’s a moderately challenging ride with a lot of hills, but not the worst. • Blackbird Bakery, 210 Winslow Way E., Bainbridge Island; 206-780-1322, blackbirdbakery.com. I wasn’t deep into research about biking to bakeries before I discovered the Black Diamond Bakery. One cycling guide described a stop there as “required.” Another called the bakery a “cycling rite of passage.” The trouble was, I wasn’t sure exactly where Black Diamond was, or how to build a ride around it. As luck and fate would have it, I snagged an invitation to meet up with a group of cyclists from the Cascade Bicycle Club doing a 40-mile loop through the Green River Gorge. The Black Diamond Bakery was at the halfway point of the ride. Many bakeries have small interiors, with a handful of seats, which expand in summer onto porches and patios. The original Black Diamond Bakery opened in 1902, but has been greatly expanded. Three big rooms include a full-service restaurant opening onto a cathedral window framing Mount Rainier. Or so they said. Clouds socked in the rumored peak on the Sunday we were there. I sidled up to the display cases, taking notes on the offerings including whole wheat cinnamon rolls studded with apples, pull-apart danishes the size of a cake pan (meant to be shared) and an apple fritter equally big. There were muffins, doughnuts, cookies and locally famous loaves of bread. But while I dawdled, the club members were attacking their pastries with the same élan with which they took the hills. I sat down to my cinnamon roll only to see them mount their rides and depart in a blur of colorful jerseys. • Black Diamond Bakery, 32805 Railroad Ave., Black Diamond; 360-886-2741, blackdiamondbakery.com. In the Methow Valley, over the North Cascades Highway, it’s possible to score a bakery trifecta. 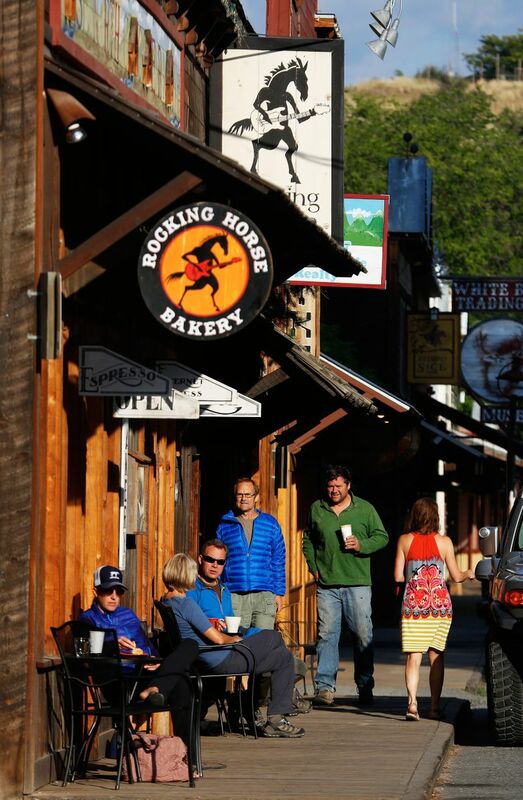 Start with the pastries at the Mazama Store, then follow the Methow River as it flows gradually downhill 15 miles to the Western-themed town of Winthrop, with its Rocking Horse Bakery. 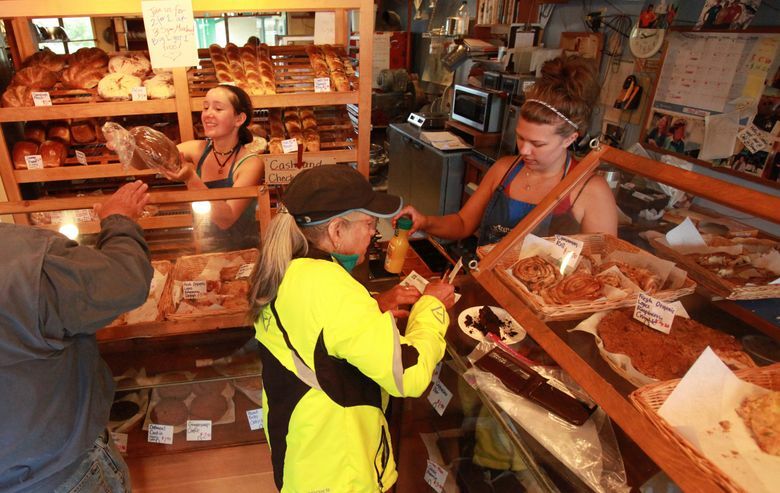 From Winthrop, it’s another 10 miles to Twisp and the Cinnamon Twisp Bakery. One of the delights of arriving irregularly at bakeries is that you never know what you’ll find. One Sunday morning, I stumbled into the Mazama Store just as a pan of apple fritters, hot from the fryer and shiny with fat, slid into the display case before me. Turns out that every Sunday morning, but only on Sundays, doughnuts are on offer. Since we often start the morning in Mazama, it’s usually lunchtime when we reach Twisp. The bakery offers lots of sandwiches on thick slices of homemade bread, soups and salads. We lucked out on one visit and enjoyed the very moist, very flavorful coconut cake for dessert. Sadly, that wasn’t on offer the next visit, but the lemon pound cake was also excellent. In winter, Mazama is the last stop heading west on Highway 20, once the road closes around November because of mountain snow. In summer, some of the miles of cross-country ski trails that make up the Methow Trails system are open to mountain bikes. There are also unpaved Forest Service roads as well as less-traveled back roads that pass pine forests and cattle ranches, all with views of the craggy Cascades. • Cinnamon Twisp Bakery, 116 Glover St. N., Twisp; 509-997-5030. Sometimes you don’t want to load the bike onto the car or the car onto a ferry. 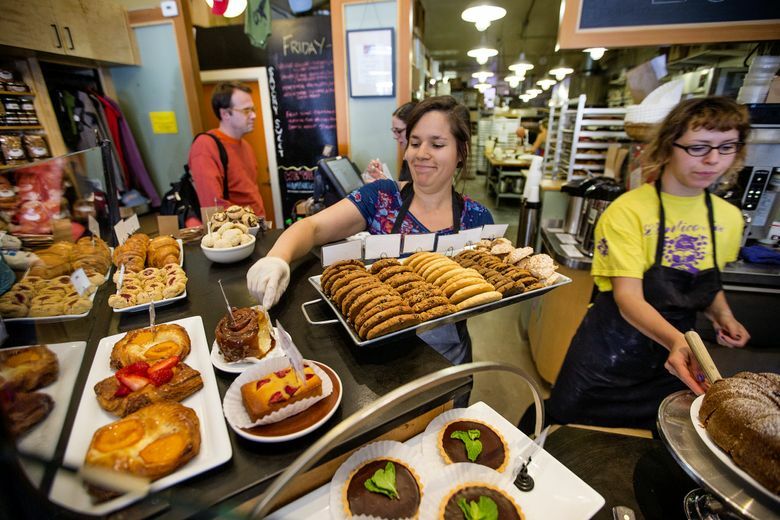 For those times, there are close-in bakery destinations within Seattle. For a very nearly flat, family-friendly ride, choose one of the city’s Bicycle Sundays. Lake Washington Boulevard south of Mount Baker Beach to Seward Park is closed to car traffic from 10 a.m. to 6 p.m. many Sundays between May and September. Tricycles, bicycles with training wheels, baby joggers and a few kids trying out two-wheelers for the first time can all be spotted, sometimes careening right toward you. At the Columbia City Bakery you can get hefty wedges of quiche and torta rustica, loaded with veggies or breakfast meat. The seasonal fruit Danishes are outstanding. We get rhubarb Danishes in May, apricot and peach in summer, apple and pear in fall. Actually, you could get both a torta and a Danish, knowing you are soon to get back on your bike and work off all those carbs. • Columbia City Bakery, 4865 Rainier Ave. S., Seattle; 206-723-6023, columbiacitybakery.com.